For fans of Disney and Tim Burton's The Nightmare Before Christmas! 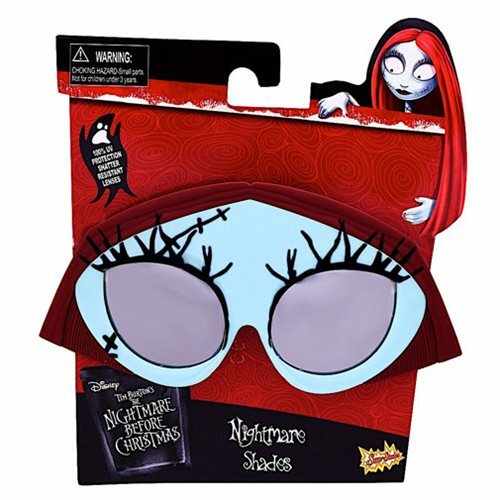 These Nightmare Before Christmas Sally Sun-Staches will let you look just like the heroine of the film. These awesome Nightmare Shades feature 100% UV protection and shatter-resistant lenses. Measures approximately 7 1/4-inches wide by 3 1/2-inches tall. Ages 14 and up.